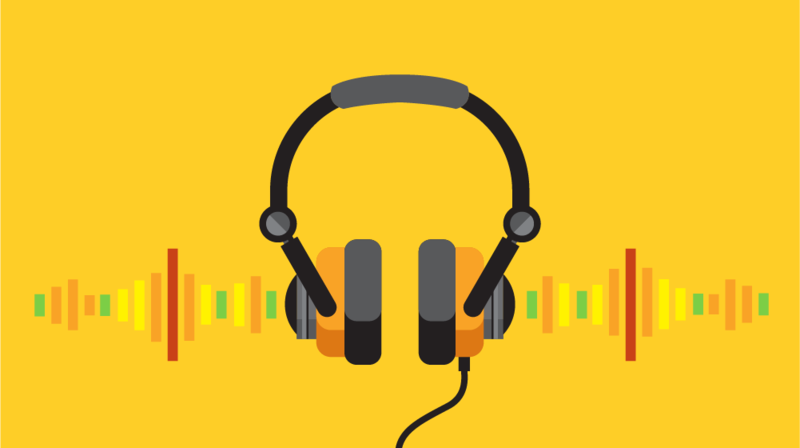 Have you had trouble capturing good audio? You should never use the built in mic on a DSLR camera. There are some higher priced cameras with decent microphones but we always choose to work with an external mic. The built-in mic should only be used to sync audio if you’re using an external recorder or if you are recording your nephew say “basgehtti” for the first time. We’ll get to the external recorder later. So let’s jump right in with a few ways that you can capture better audio with any camera. All of the techniques in this article can be applied to most cameras you’ll be using, such as a palm held, DSLR, or shoulder mount. If you are using a DSLR, then you’re working with a 3.5mm or 1/8 inch connector. There are a number of adaptors on the market that will give you the ability to connect to the appropriate device. B&H is where ES Creative likes to get our adapters. On a tight budget? Need an easy-to-use solution? There are some things you can do to improve the audio quality of your video productions, and using a good on-camera shotgun microphone is one of them. Keep in mind; this should not be your first choice as there are better options below. Thanks to their ability to reject sound to the sides and rear, and prioritize the sound in front of the mic, shotgun mics can be a useful on-camera tool for audio capture. DLSRs require a powered microphone. This means the mic is powered by a battery or external recorder. Some cameras have phantom power built in – meaning, the camera can supply the needed power for the mic. Powered microphones have an advantage, they let users increase the signal output to a camera.The audio signal from a good mic is likely cleaner sounding than the preamps built into your DSLR, by lowering your camera’s input level and boosting the mic’s output level, you can achieve better-quality audio. So why is this option less than ideal? There are limitations with an on-camera shotgun. For one, you will need to be relatively close to the person you are interviewing. If you are shooting from 10 feet away, it will sound like you are 10 feet away. The closer the better, with any of the microphones discussed in this article. Get up in there. Never use auto audio levels. There are better ways to optimize audio record settings for your camera. The auto audio levels in your camera don’t know the difference between who your talent is and everything other noise in the area. That means the auto settings will try to pick up everything. Do you have a giant mouse roaming around the room? How about a noisy air conditioner? Auto settings will try to pick that up, so get used to using manual settings if they are available to you. First, rein in and set your recording levels in your camera after connecting the external mic. The recording level in your camera allows you to adjust for how loud or soft your talent is speaking, so make sure you dial in the appropriate setting. The idea target is -12 DB. It’s ok if you go over a bit, just don’t hit the red, that’s called peaking. Peaking renders your audio virtually useless. How do you even start to rein in the levels and avoid peaking? Start by positioning yourself for the interview and having your talent talk until you have the right levels. This might sound confusing, but it’s pretty simple to adjust your levels when you understand your menu. You’ll have it in no time with a little practice. Cut the cord with wireless lavaliers. Wireless Lavaliers are probably the most convenient recording devices to use, and they provide excellent audio. Why? Because you can set your camera anywhere you want and have the mic right on your talent. For example, let’s say you want to get a shot of the whole room, while the camera is focused on the person speaking, you can do that. The audio will not change with distance. Wireless lavaliers are small, but you can see them on your talent unless it’s hidden (we believe it’s best not to hide them if possible, so there are no obstructions). If you do want to hide them, this video does an excellent job of explaining the ways to conceal lavaliers. By the way, for most people it’s best to have the mics 6-12 inches from the speaker’s mouth. ES Creative traditionally uses Tram Lavaliers when we are trying to conceal microphones because we’ve found that the quality of sound and size are fantastic. Rycote provides some excellent solutions for hiding microphones and providing protection for noise caused by the wind. Lavalier setups are self-powered and can plugged directly into your camera with the appropriate adapters. They can also be used with an external recorder – we’ll get to that in a moment. Here comes the Boom. Embrace the Boom. Finally, we get to ES Creative’s preferred method: the boom and shotgun mic. This setup is what most industry professionals use when audio is critical to a video’s production. 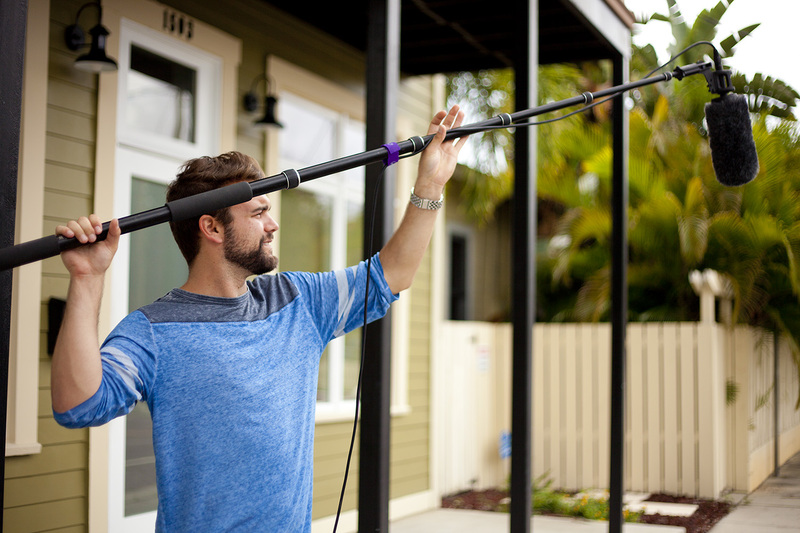 A good shotgun mic provides users with the most natural sound for video productions. ES Creative can set the mic at the perfect height and 45-degree angle, while maintaining a natural look – that means no mic in sight! Some shotgun mics are powered, but most of the high-end solutions will require phantom power from the camera or a recorder. We use the Sennheiser MKH 416 for most of our video productions. Sometimes it’s best to have an audio engineer on hand but for most interviews or testimonials, you’ll only need a boom holder/grip head and C-Stand. The boom holder should be in everyone’s audio toolkit. There’s an advantage to using an external preamp or recorder. Why? In most cases, external pre-amps and recorders will deliver better audio. External recorders are capable of providing higher resolution and bit rates than most cameras. Besides, an external recorder and shotgun mic can also be used with your camera in a run and gun situation. This is a better solution than just using a shotgun without external recorder on your DSLR as the difference in quality will be night and day. Please always remember, the mic still needs to be close to the person you are shooting. Get up in there. You will also need to sync the audio when you start editing. That’s why it’s crucial to always keep the audio record on when using an external recorder. This practice might seem complicated, but most editing systems have made this a breeze because they can sync the audio from different sources automatically. Some plugins can do this as well, such as Pluraleyes. What recording packages should we use? There are tons of recording packages to choose from. Some are really cheap but be careful because you always get what you pay for. On the flip side, there are some packages that you’ll need a second mortgage for. Let’s face it, you’re not making a Hollywood movie, so ES Creative recommends Audio Technica or Rode recording devices. They are good, moderately priced microphones that are ideal for interviews, testimonials or anything else you’ll be shooting. You should be able to find something from either of these two companies to fit most budgets. There are higher-end solutions if you want to upgrade down the road but the two mentioned provide a good value. Get the most mileage for your money. To make this easy we recommend one manufacturer for external recording, Zoom Recorders have options for every budget. The company even offers some Smart Phone Solutions. B&H is a great resource for anything you need for your next production, from clothes pins (C-47s) to 4K cameras and a broad range of audio products. It’s a great resource because you’ll be able to read reviews from professionals working in the field. We refer to B&H quite often. 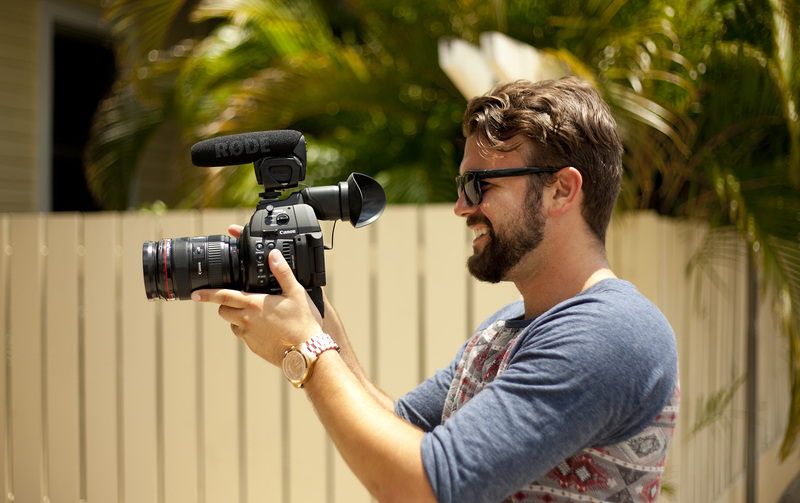 DSLRs have enabled everyone to capture beautiful video footage without breaking the bank. They’ve become an indispensable tool for us in some situations, but only when paired with a professional audio solution. Need an audio consult? Are you close to perfect and just need a push in the right direction? Give us a shout if your business needs a consultation for setting up an in-house audio/video solution for testimonials, interviews or whatever else you have in mind. We would be happy to consult or shoot your next video. Please contact us to setup a free consultation.